If the growth in sales in that product category is high. For example: The sales of beauty products are growing at 12.8% per year in China, which is more than double the global average. If the product is in a category that has low price sensitivity in China, a good example of which is air purifiers. Seasons highly impact sales but they’re different in China. In general, the best times to enter are Chinese New Year, Single’s Day and summer vacation. If you’re about to launch a product in China, look up the dates for Chinese New Year as it changes every year. Ensure that you don’t launch your product two weeks before the holiday. Most people are travelling from first tier cities to their hometowns where they spend two weeks with family. Post offices and logistics companies close at least ten days before the holiday. So, deliveries just won’t happen. Instead, products can enter much earlier in the year, but it’s recommended to do so after the holiday when sales pick up. Summer vacation is when companies see a general increase in sales in addition to higher demand for seasonal products like UV protective products. The third season is Single’s Day (11/11) which sees the highest sales of the year. It’s the Black Friday of China. Consider product launches at this time just because there is a higher success rate. Your product can be a unique solution to a problem that has never been solved before, have a strong story, or both. Stories sell in China and are excellent tools for marketing materials. The story can be about your original experiences, your famous business partners or the uniqueness of your product. For example, Whoosh, a screen-cleaning product, entered the Chinese market and had great success despite thousands of competitors. Why? The company spent time on branding, creating great marketing materials and the product itself had unique qualities. This won them the innovation award at 2014’s Consumer Electronics Show and partnership with Apple as their only screen-cleaning partner. In China, they’re also a foreign brand. These aspects were selling points and formed key parts of Whoosh’s story. Other brands have entered with stories about their features alone and how they solve people’s problems, so don’t worry if you don’t have Apple as a partner. Just ensure that your story communicates how your product is different from the rest. Each country has its own regulations and you don’t want to break them in China. Make sure you understand what you can and cannot sell and import legally. For example, spray products that have compressed air are considered explosive. There are a variety of regulations that don’t allow certain companies to import them. However, there are solutions available. If your company can’t do certain things due to regulations, then consider importers because they may have the correct licenses and authorization to help you get your products to the marketplace. Some products are perfect for the market and ready to go. Others need some slight adjustments to satisfy the needs of Chinese consumers. For example, clothes that perform well in Western markets must consider size adjustments when entering China. Washing machines need to be smaller because Chinese consumers do laundry more frequently in smaller loads in smaller living spaces. We all think our own products are perfect but it’s important that we’re careful when entering new markets and consider changes that take into account the market’s needs. Look to your Chinese friends to help you with this one! 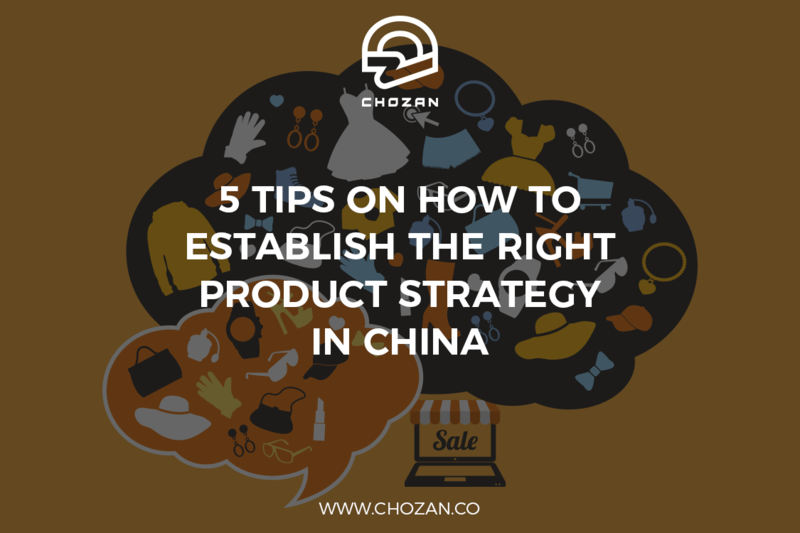 If you put these tips into practice, your product’s chances of success when entering the Chinese marketplace soar. Selling in a new international market can be risky and costly but with the help of local talent, success is just over the horizon. – About FirstShotz: FirstShotz is a no risk digital marketing and distribution agency that helps unique products enter the China marketplace through influencer marketing and ecommerce channels. FirstShotz charges nothing upfront, with all service costs covered by the difference between retail and wholesale price. They deal with everything; marketing, sales, distribution, all the way to customer service.